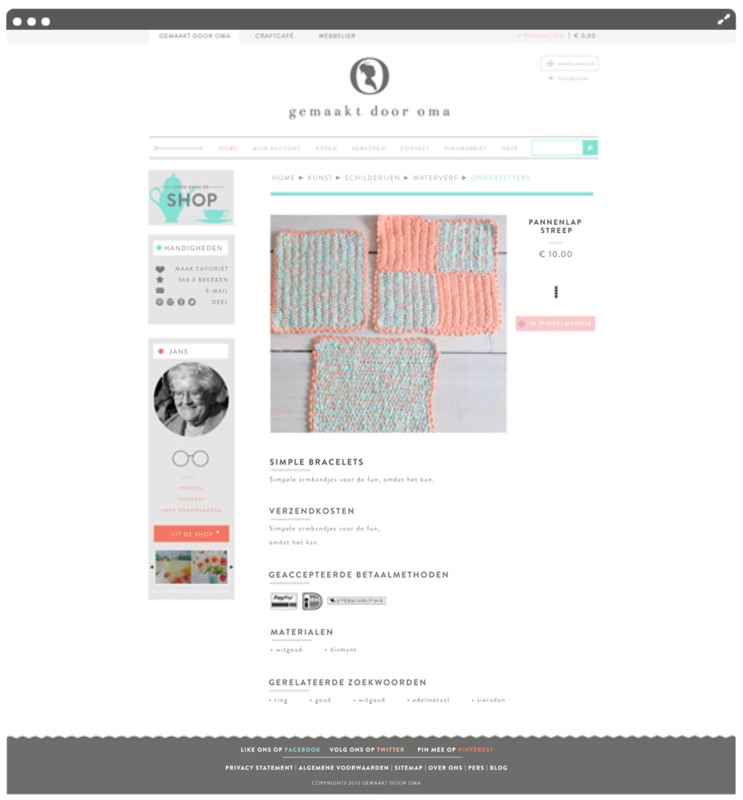 Gemaakt door Oma is a eshop selling handmade products. But not made by anyone: no, only grannies’ hands are allowed… How sweet is that? The ladies behind this concept are the amazing Baudien Bosma and Janneke Doorenbosch, two talented girls with a mind that never stops bubbling with ideas. 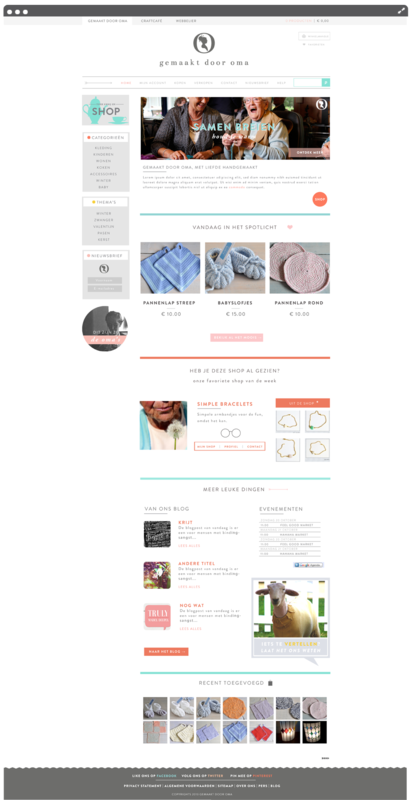 I was asked to design their logo and design the website based on a already existing frame.